I liked it so I put 7 rings on it. ASOS Barely There Ring Pack, £8. 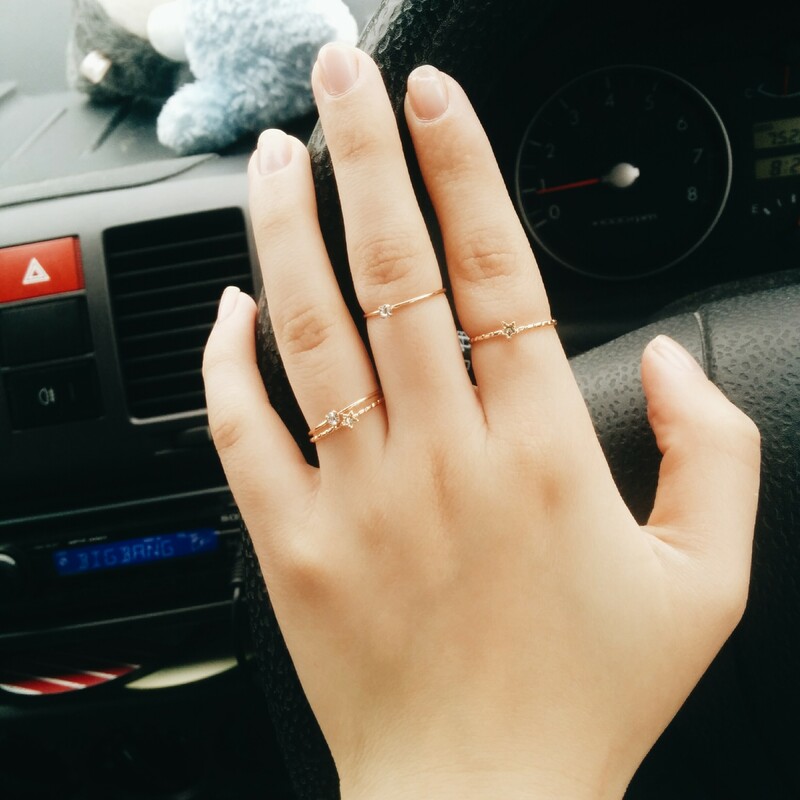 There’s something seriously elegant and effortlessly pretty about dainty rings. Now I’m the kinda fickle and super clumsy gal who loses rings and forgets about them without a moment’s thought, but this ASOS set has won me over. The set has a mixture of textured and plain super-skinny bands with square and star diamante details. Simply throw a couple of fingers of choice and watch them sparkle as you tap-tap-tap away at new articles and spend 4 hours searching up YouTube vids. Oh — and I’m all about the natural nails at the moment. Can’t cope with colour after my recent spring pastels love-in. … Go on, you know you want to too. Shop the set here.